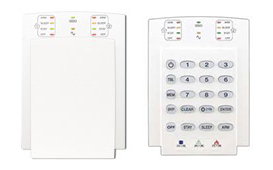 The keypad is your interface for managing your alarm system and identifying which zone(s) is triggered in the event of an activation. There are multiple key-pads available in the market and traditional features include a zone light or an LCD display, multiple user codes and a back light allowing you to see your dis-play in the event of a power outage. The TM50 / TM70 are touch screen input keypads designed to communicate with Paradox control panels, and offer user friendly interface. Both offer vivid colors and two sizes to select, 7” – TM70 or 5” – TM50. The TM70 due to its larger screen allows for more information to be displayed on one screen and is more convenient in comparison to the TM50. Both touch screen displays are compatible with Spectra, Magellan and EVO Para-dox systems, and both support Paradox next generation Swan panels with RS-485 fast encrypted bus, and features like complete menu programming, remote keypad firmware upgrade and screen saver images download from the Insite GOLD appli-cation. 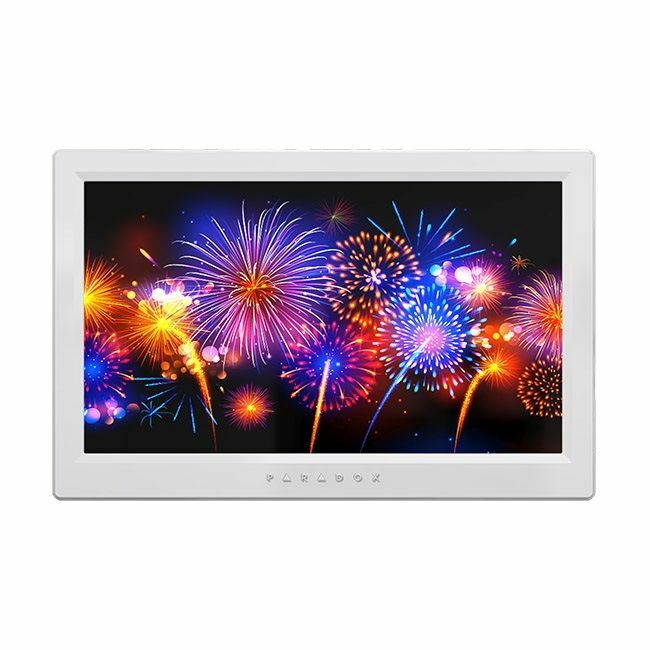 The TM70 / TM50 have screen savers with auto mode, adjustable brightness with auto dim mode and full dark sleep mode, indoor temperature display, bus voltage monitoring and easy multi-partition control. 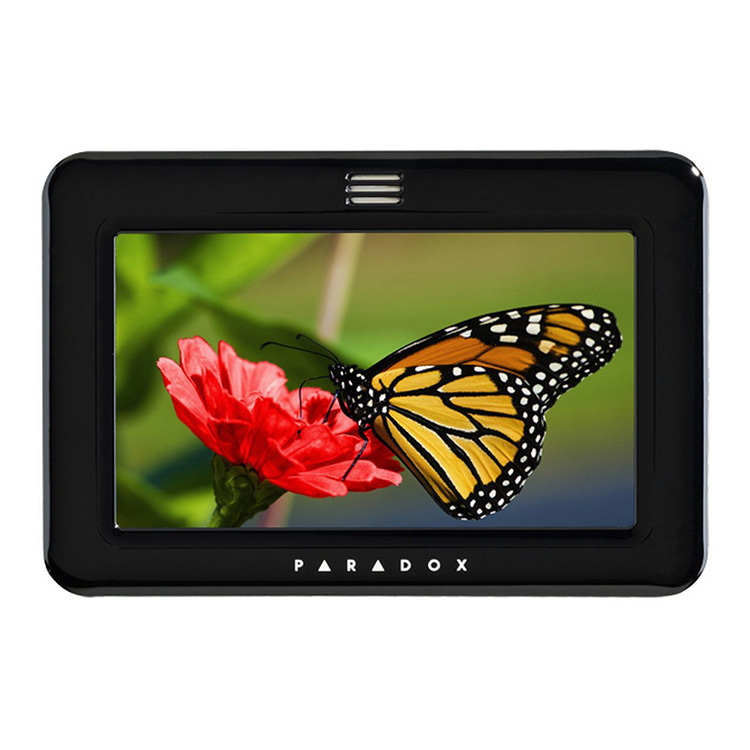 The TM70 LCD color display resolution is 800 x 400 pixels while the TM50 resolu-tion is 472 x 272 pixels. Both come with an external SD media card (4 GB), 2 GB free space for uploading jpegs for screen savers. The TM70 is offered in white and the TM50 in white or black colors, other colors may be custom ordered.